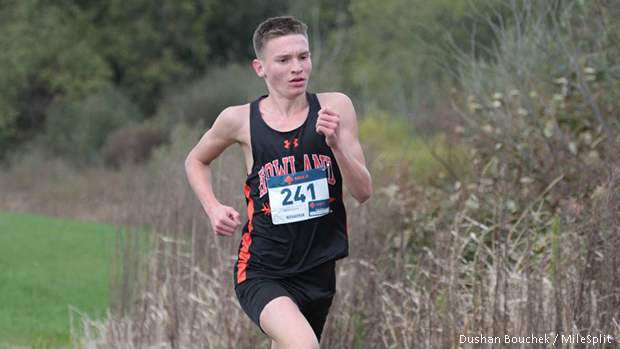 It may be a week later than originally expected, but Middletown senior Conant Smith will still enter the OHSAA State Championship this Saturday with few who doubt he'll cross the finish line without capturing his first career state title. The Arizona State commit comes in as the favorite in Division I as he's grabbed wins in every 5K race he's lined up for this season, including the Mason Invitational, the Bob Schul Invitational, Centerville's Saturday Night Lights meet, and both his district and regional contests. He'll also carry with him experience gained from his second-place finish last season at States and confidence from holding the second-fastest time in Ohio this season, running 14:56.10 at the Greater Miami Conference Championships. But there's a reason the state championship is run, and there will be several contenders in the mix. One, is Howland senior Vincent Mauri, who finished 18th at the state meet in 2017. Mauri looks ready to contend for the title this year, coming off his victory at the Youngstown Region meet. He's also taken wins at the Niles XC Invitational and the Medina XC Festival, and has posted times consistently under 16 minutes. Vincent Mauri checks-in at number twenty-three in the national 5K rankings. Mauri, who will join Smith in running for Arizona State, said he thinks the delay may give him an advantage heading into the meet. "Since I missed around a month of racing and training, I feel that this could work in my favor as I will be getting an extra week to get ready to perform at the best of my abilities," he said. 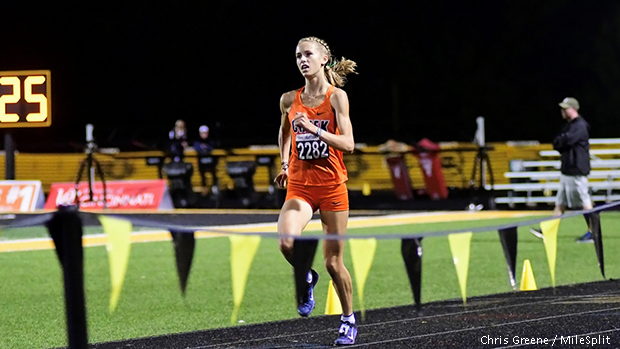 "Heading into the state meet, I've never felt more in shape in my life -- my fitness feels great, and mentally I've never been more ready to race in my life." Another top name to remember will be Whitmer senior, Jacob Harris. He was 15th at the 2017 OHSAA Championship and has gotten used to winning this season, taking victories at the Cardinal Stritch Invitational, the Clay Eagle Invitational, the Northwest District meet and at the Tiffin Region meet. Other athletes to watch include Hudson seniors, Evan Manley and Adam Beucler, Amherst-Steele senior, Josh Hill and Centerville senior, Ben Burkett. Just as is the case with Conant Smith on the boys' side, all eyes will be on Beavercreek junior, Taylor Ewert on Saturday. Ewert has been unstoppable in 2018 and shows no signs of weakness coming off her victory at the Troy Regional meet. Her wins at big meets like the Trinity / Valkyrie Invitational, the Nike Valley Twilight and Centerville's Saturday Night Lights - along with her bronze at the 2017 state meet - make her loaded with experience heading into the OHSAA Cross Country State Championship. Taylor Ewert enters this weekend as the favorite to earn her first XC state championship. However just because Ewert has appeared invincible doesn't mean a win on Saturday will come easy. Brunswick junior, Emily Bardwell - 16th at the 2017 state meet - is enjoying a breakout season and has rounded into form as 2018 has gone on. She's won the Legends Meet, the Greater Cleveland Conference Championships and most recently the Youngstown Region meet. Just like Ewert, she'll look to make a splash on Saturday. Ewert and Bardwell will also have to deal with Centerville's Emma Bucher, who finished 12th in 2017. Bucher has had a tough time escaping Ewert's shadow this year, finishing second to her at the Trinity / Valkyrie Invitational, Centerville's Saturday Night Lights, the GWOC Cross Country Championship and the Troy Regional meet. But of all the contenders at this year's state championship, the sophomore has the most experience racing against the state's most formidable runner in Ewert. Bucher will also take experience from her wins at the Les Eisenhart Invite, the Greenville Treaty City Invitational and the Northmont Invitational into Saturday's finale. Others in the mix for the individual title will include Medina junior, Juliette Keller, Highland-Medina senior, Kaylie Kenne and Turpin senior, Samantha Bush.